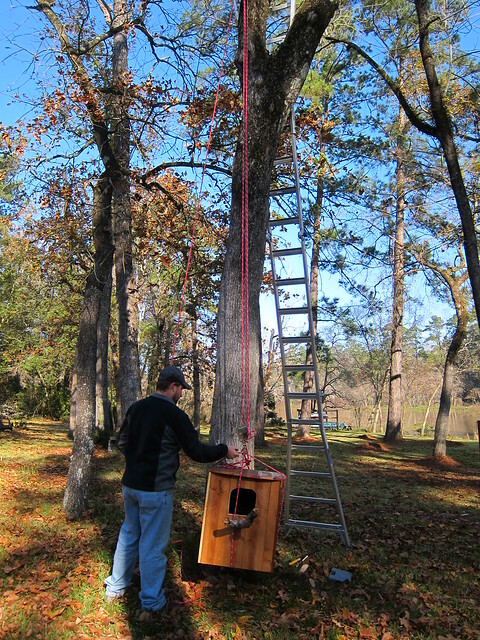 Chris built a barred owl box out of old fence wood that came from his mom and step-dad. 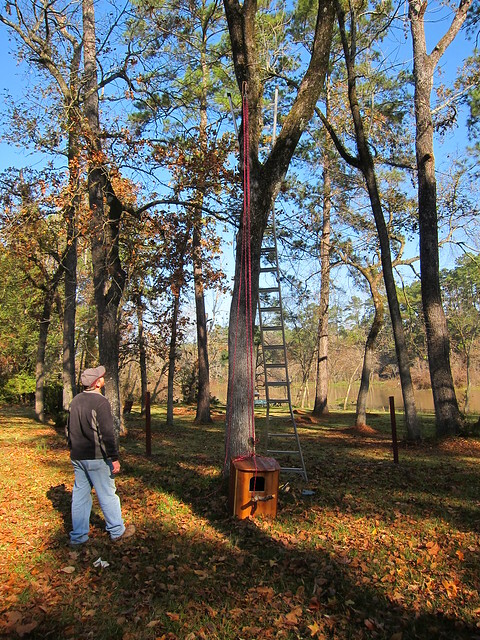 He built it on a whim over the last few days and we finally put it up in a tree this morning. I happened to be out on our balcony on the second floor this morning and spotted the perfect tree to put it in, an elm, so that it would face the balcony and we could easily see it from our bedroom window as well. The perch came from a branch Chris found down by the pond. It worked out perfectly I think. 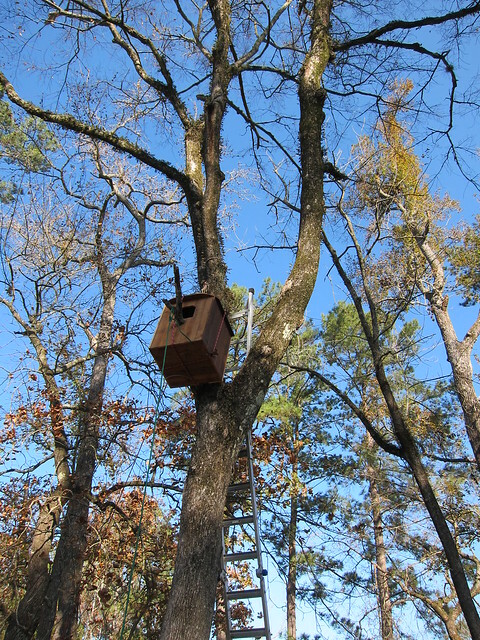 Now all we need is an owl to find it and call it home! 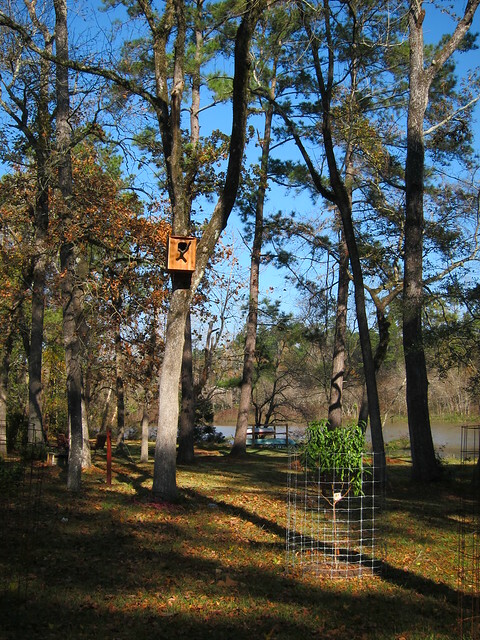 Our other bird houses have yet to be occupied. 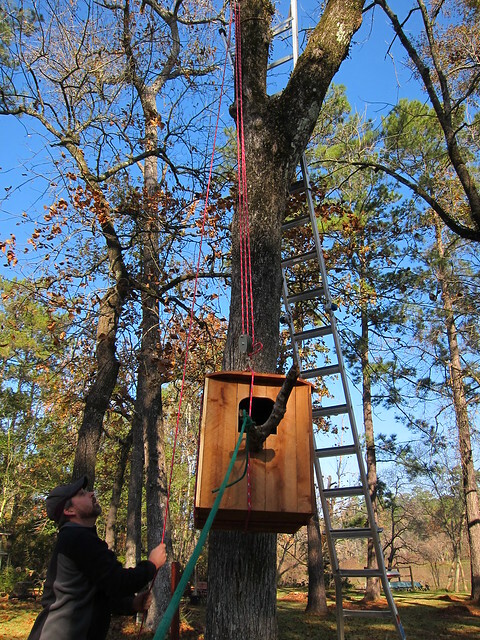 That includes a screech owl box we have up in the front yard. 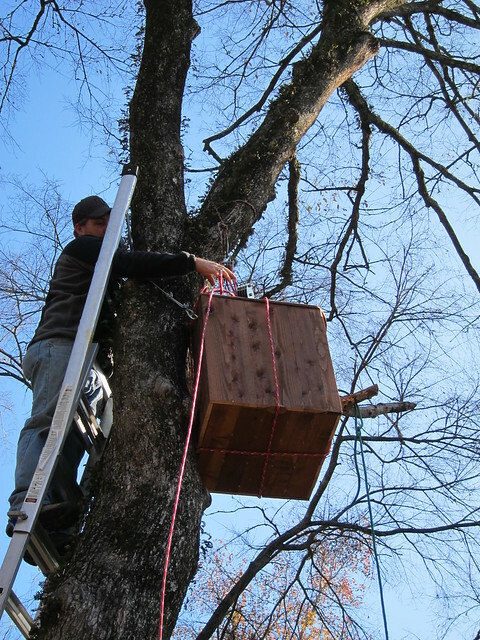 Now is the time of year they start finding them and Chris is going crazy with checking the box every evening for an owl. Our friend Christine apparently has an owl in her box so I think Chris is getting a excited for the prospect that one day we’ll have an owl, too. 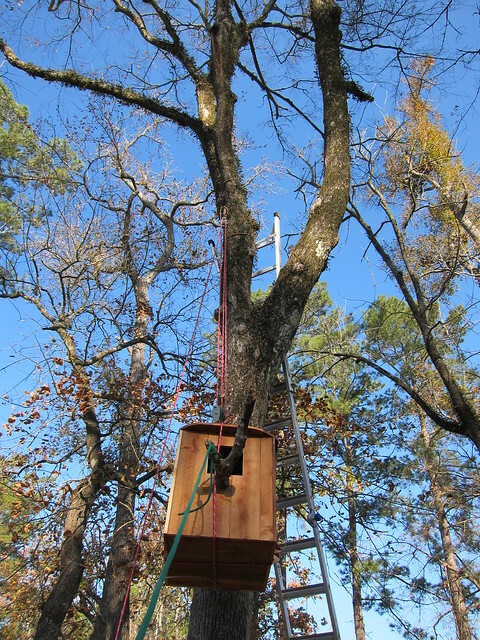 It looks like the only animal using any of the boxes around here is a solitary bat in one of the bat houses. I guess it didn’t migrate out of the area for the winter, but hopefully next year it can entice some friends to stay too. Oh wow I love it!!! I hope you get owl soon!